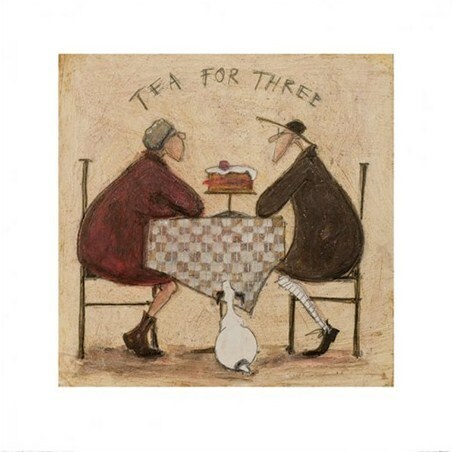 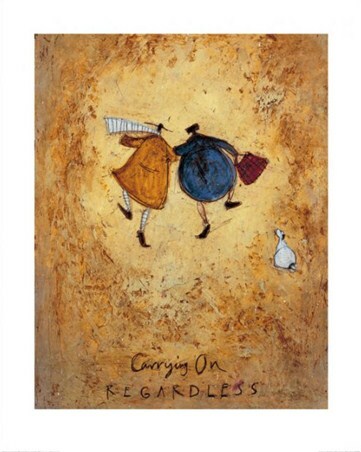 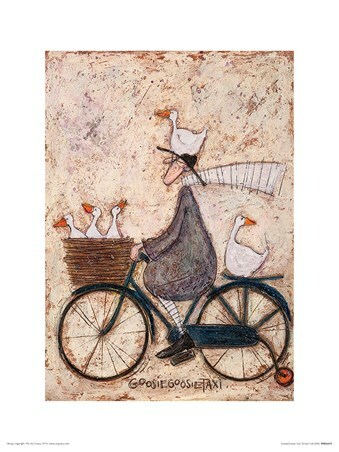 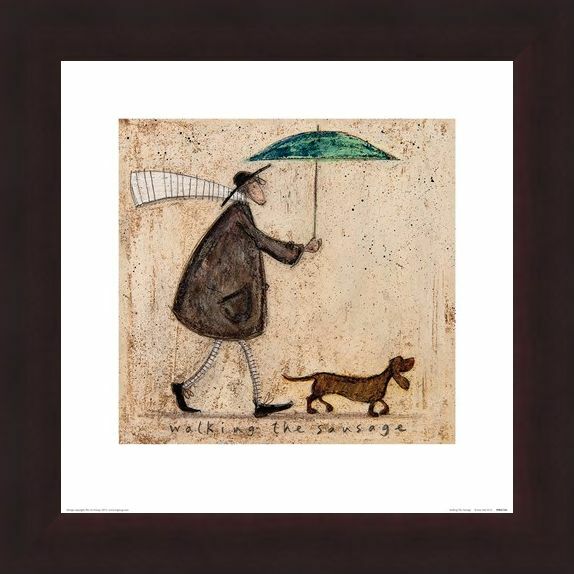 Contemporary Art Print: Join Mr Mustard of his adventures once again with another charming image illustrated by Sam Toft. Walking against a rustic and textured background, Ernest is seen "Walking the sausage", a small chocolate dachshund under an umbrella, with his scarf trailing in the wind. These unique and charming pieces of art will simply look beautiful in any home, why not take Ernest on a new adventure? 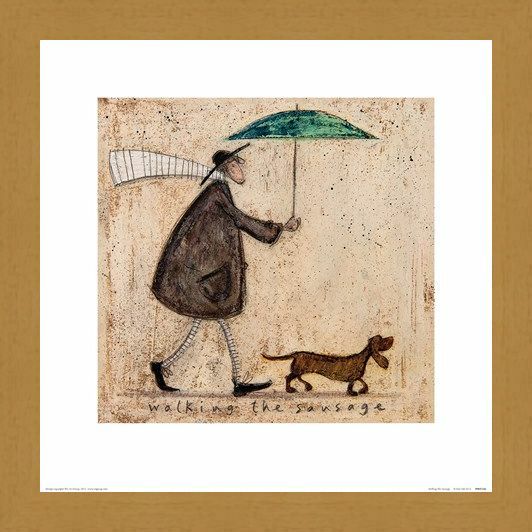 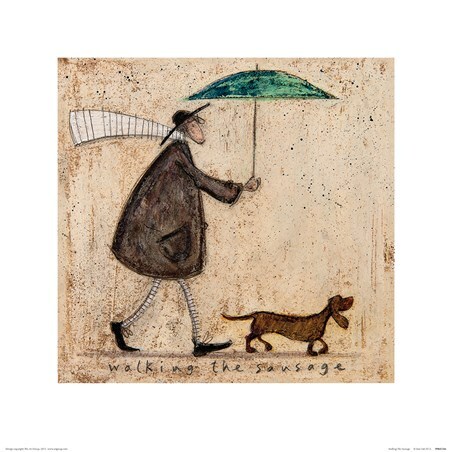 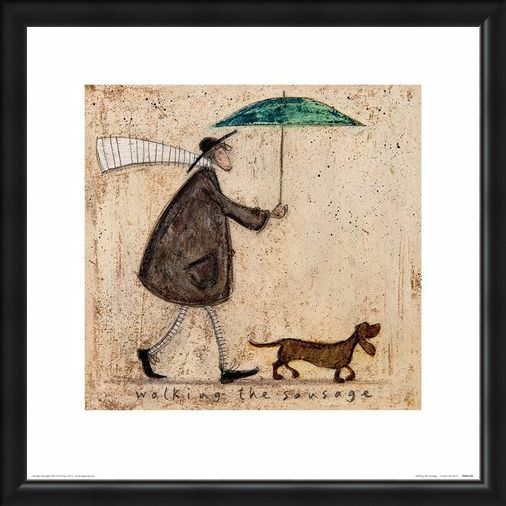 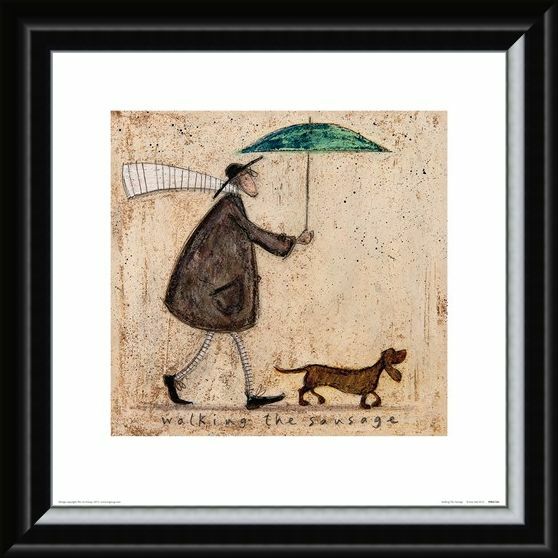 High quality, framed Walking The Sausage, Sam Toft print with a bespoke frame by our custom framing service.